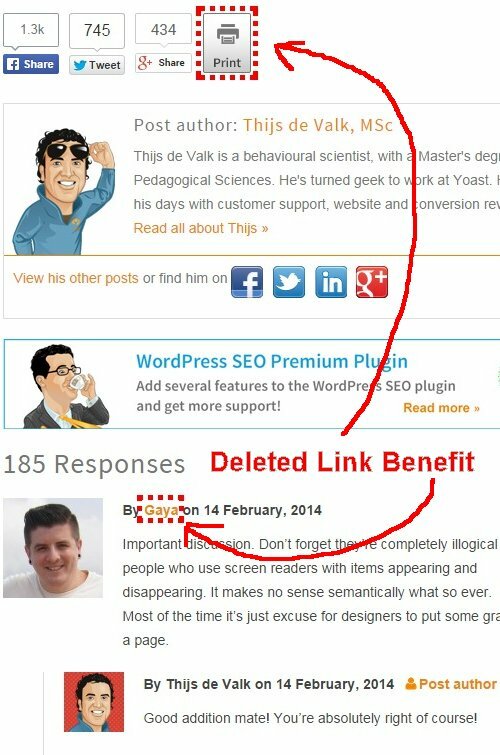 ﻿Is Yoast the Best WordPress SEO Plugin? 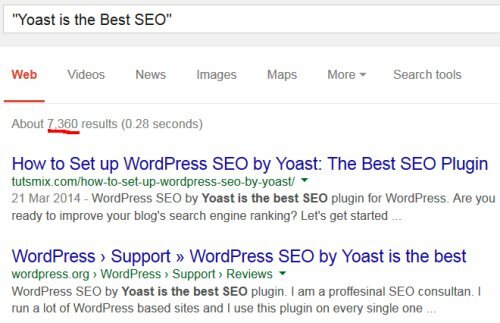 Is Yoast the Best WordPress SEO Plugin? I’ve spent a fair amount of time writing about how rubbish the Yoast SEO plugin is because it uses rel nofollow and noindex and the plugins SEO failings tends to fall on deaf ears by most in the WordPress community: there seems to be an almost blind religious type following of Yoast SEO as the be all and end all of WordPress SEO plugins. Search Google for “Yoast is the Best SEO” (include the speech marks for an exact match: only finds the exact phrase). Even though the Yoast rel nofollow features deletes link benefit and the Yoast noindex features wastes link benefit (nofollow/noindex : two major Yoast SEO features) it’s not easy to show the smoking gun: it’s a technical SEO issue most webmasters just don’t understand. 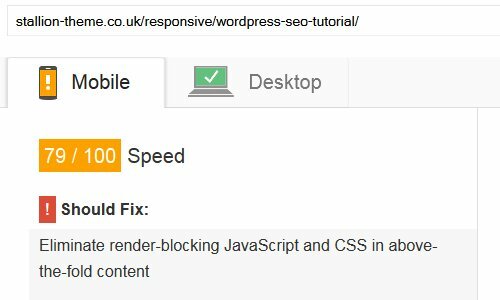 Basically it’s difficult to prove how much damage the SEO Yoast plugin causes to the average WordPress site. Did you know before reading this article rel nofollow deletes link benefit? I understand why those who don’t understand search engine optimization as well as I do see Yoast as the best SEO plugin, search Google for WordPress SEO and the Yoast plugin is number 2 in Google and the WordPress.org WordPress SEO plugin page for Yoast is number 1. Competing for WordPress SEO SERPs is very impressive, but is it due to the Yoast SEO package running on yoast.com (Yoast plugin, Yoast Genesis child theme, using an expensive CDN and webhosting etc…) or something else? Looking at the WordPress SEO Google SERP alone it really does look like the Yoast plugin in combination with a Genesis child theme by Yoast must be awesome. After all, how else could the Yoast domain rank so high for such a competitive SERP? Many make this fundamental flaw in understanding search engine results, good search engine results do NOT mean good on-page/on-site SEO. The Yoast domain has a PR6 home page (understand PageRank tutorial), with so many high quality backlinks (takes a lot to get to PR6 in 2014) you have no idea how good their on-page SEO is just by looking at SERPs. The WordPress SEO SERP could be just backlinks, add enough backlinks to almost any website (without going blackhat and breaking Google’s webmaster guidelines) and it will rank for competitive SERPs even with awful on-page SEO: see the Googlebomb SEO tactic from the past, indicates the power of backlinks and anchor text (Googlebombs are no longer effective, but the SEO concept is still valid). The main Yoast developer was an SEO genius naming his plugin “WordPress SEO by Yoast”, before Joost de Valk built his SEO plugin the top WordPress SEO plugin was the All In One SEO Pack Plugin, note it lacks the keyword WordPress which means when people link to All In One SEO they are less likely to use WordPress as the anchor text. Yoast however will generate lots of backlinks with the anchor text WordPress, anchor text is still very powerful SEO wise in 2014. 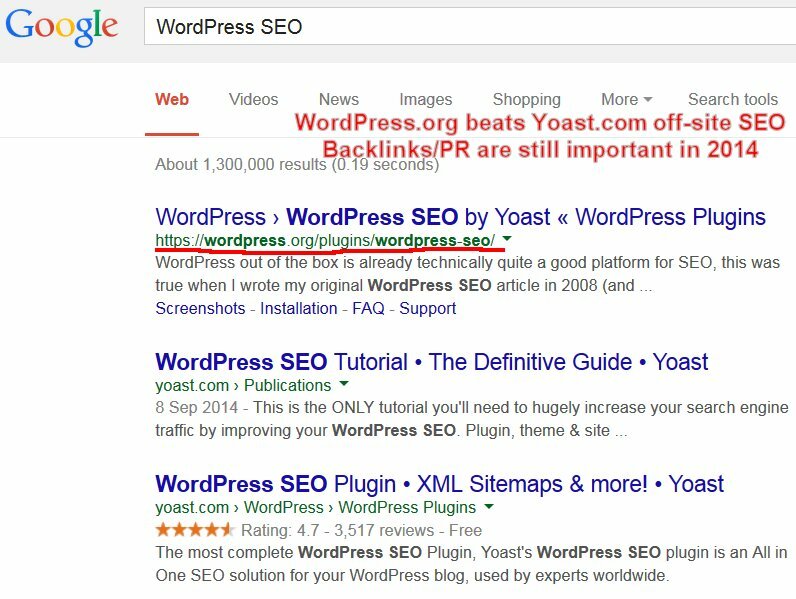 Yoast and the Yoast plugin page on WordPress.org will have millions of backlinks using “WordPress SEO” and derivatives as anchor text. This can be more than enough off-site SEO to compete for competitive SERPs like WordPress SEO. 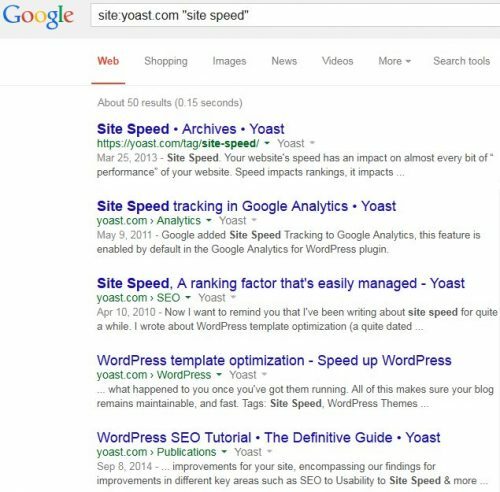 Ask yourself why is WordPress.org above Yoast for the WordPress SEO SERP? WordPress has significantly more backlinks, Yoast PR6 home page, WordPress PR9 home page. 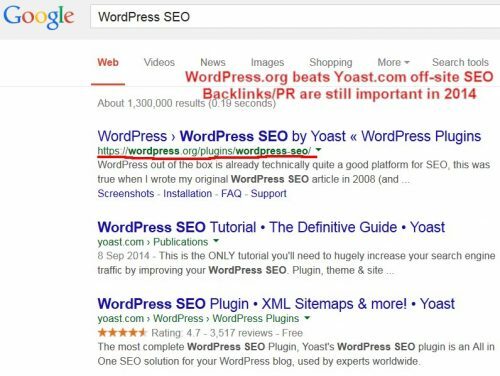 Yoast can’t compete with WordPress, WordPress off-site SEO (which is all naturally generated backlinks) beats Yoast backlinks + Yoasts on-page SEO. This important fact that off-site SEO is more important than on-site SEO will again fall on deaf ears in the WordPress community, actual rankings do not necessarily indicate how good an SEO expert is at on-page SEO because off-site SEO is more important. Question: Does the Yoast plugin in combination with a Yoast Genesis child theme generate substantial off-site SEO (backlinks)? Answer: No, Yoast/Genesis deal almost exclusively with on-page SEO factors. Using the Yoast plugin won’t substantially increase your backlinks, it won’t generate millions of backlinks with anchor text “WordPress SEO”, that takes a lot of off-site SEO effort. If you think the Yoast team can repeat this for your website, hire Yoast to build your backlinks. If Yoast could repeat what they’ve achieved for my website I’d hire them for off-site SEO promotion, but I wouldn’t let them touch on-site SEO factors. Let’s look at one aspect of on-page SEO that has an undeniable smoking gun when looking at the Yoast plugin and the Genesis framework performance SEO results. Let’s have a look at both the Yoast SEO plugin and the Genesis Theme framework (the Yoast domain uses the Genesis theme framework, Yoast develops Genesis child themes they market as WordPress SEO themes) from a performance SEO perspective. 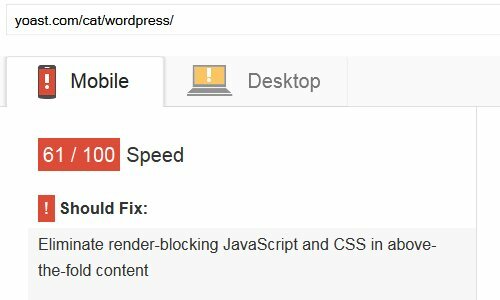 They also use the W3 Total Cache Plugin which is an awesome WordPress Performance SEO plugin, I use it with the Stallion Responsive SEO Package and without W3 Total Cache I’d have to build a bunch of hard to understand performance SEO features. Do the developers behind Yoast consider SEO performance important? In April 2010 Joost de Valk the main WordPress SEO developer behind Yoast wrote a WordPress article title “Site Speed is now a Ranking Factor” yoast.com/site-speed-ranking-factor/, it basically states site speed is important and Joost de Valk has been working on site speed improvements like using the W3 Total Cache Plugin (awesome performance SEO plugin: IMO the best SEO performance plugin and it’s free), using a CDN from MAXCDN (they aren’t cheap) and making sure they used a high quality webhost. That was written over 4 years ago, I assume Joost de Valk and his team of developers hasn’t sat on their laurels over the past 4 1/2 years and has continued to work on the SEO performance of the Yoast domain (read through the site, plenty of references to performance improvements like switching hosts). I don’t think it’s too much to assume with years to learn about the very best performance SEO strategies (he said in 2010 site speed is a ranking factor) and the skill set of those behind Yoast (very good PHP programmers and assume they know a little about web servers, hosting…) that if the developers behind Yoast considers performance and site speed as important they’d be very good at performance SEO by now. That’s not too much to assume right??? This will list all webpages under the yoast.com domain that uses the exact phrase “site speed”, October 2014 there’s 50 results. “do know one thing: I’ve had several clients whose sites were too slow, and who, after being properly optimized for speed, got better rankings. “So, it’s clear, when you can, you should reduce the number of HTTP requests. 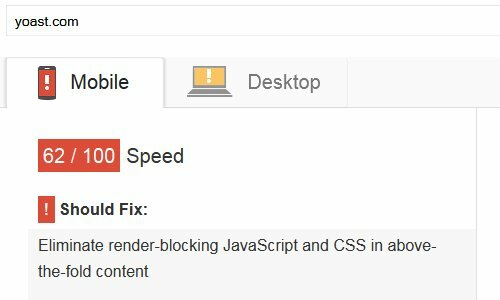 You can find lots of mentions of site speed on the Yoast site. Nothing wrong with any of the advice above, reading the site you’d expect Yoast developers to be site speed experts. Can we all agree the Yoast developers understand site speed is important SEO wise and with that in mind the Yoast domain should be super fast and be using the very latest performance SEO techniques. They are selling you the Yoast WordPress SEO plugin and other SEO services they offer on improving site speed. 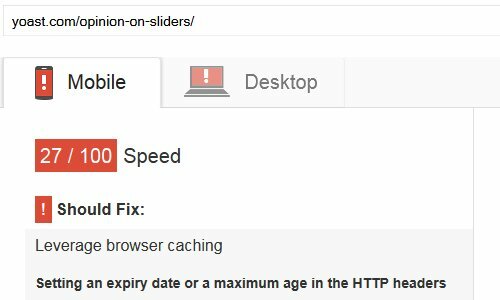 Google has provided us with a free tool for actually checking page speed issues Google is using to rank our websites on page speed and usability SEO metrics. 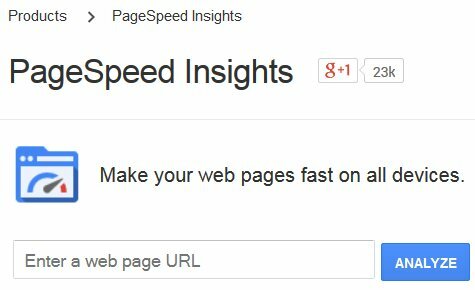 It’s the Google Page Speed Insight Tool and it’s a really good start to looking for and fixing potential site speed and performance SEO issues. 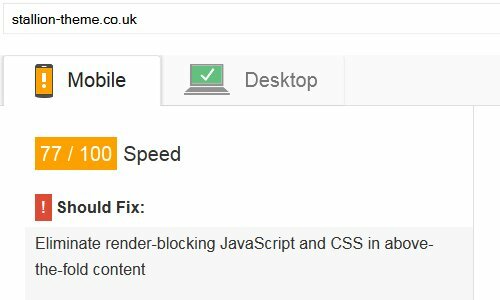 It is REALLY hard to get a page anywhere near 100/100 for the Google PageSpeed tests, so don’t panic if you can’t get into the green for Mobile, Usability and Desktop, Mobile in particular is super strict. Below I’m going to show multiple Google Page Speed Insights Results for the Yoast domain followed by my domain (Stallion). These are not my subjective opinion, these are page speed issues Google says are important. A beautiful SEO smoking performance SEO gun in a series of image, clearly showing Yoast SEO failings. 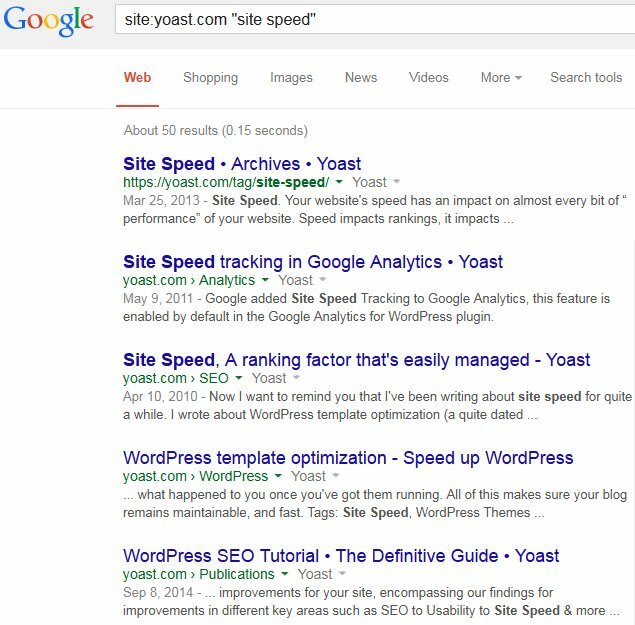 If after viewing these you still think Yoast SEO is the best for WordPress SEO, your an idiot! All the PageSpeed Insights Screenshots below can be clicked to open a full page screenshot of the results on October 9th 2014. You can check the current results (they are likely to change over time) by loading the 6 URLs listed below. Let’s start with the Yoast home page (October 9th 2014). Mobile is in the red, not good! Yoast WordPress category (October 9th 2014). Yoast WordPress post (October 9th 2014). Mobile and Desktop is in the red, not good! I was shocked when I saw 27/100 for mobile, that’s awful! In our test, your server responded in 1.3 seconds. There are many factors that can slow down your server response time. Please read our recommendations to learn how you can monitor and measure where your server is spending the most time. That was particularly surprising considering how much Yoast goes on about paying for the best webhosting and using the MAXCDN (content distribution network – not cheap). At times almost all domains will trip the Reduce server response time issue, I use a cheap Godaddy VPS server for my sites and rarely see this warning, but then I’ve developed Stallion Responsive with performance and page speed in mind so it will run well on a cheap hosting package. I even use a self hosted CDN on a sub-domain (cdn.stallion-theme.co.uk) which means my CDN is free (I don’t like spending money :-)). To be completely fair here’s the same page speed tests for my site that runs under the Stallion Responsive WordPress SEO Package: Ran both sets of tests around noon GMT time on a Thursday, so neither site should have a heavy load, the US was a asleep. Stallion home page (October 9th 2014). Stallion WordPress category (October 9th 2014). Stallion WordPress post (October 9th 2014). Don’t believe the screenshots check for yourself with live results. So which SEO plugin *should* we be using? I’m sold on the performance issue – but which plugin do you think we should be using instead? It’s a good question, which is the best WP SEO plugin? Short answer, there isn’t one, though if forced to give an answer it would be W3 Total Cache is the best WordPress SEO plugin. W3 Total Cache plugin has features that are 10 times more important than the so called SEO features added to Yoast SEO and All In One SEO. While I’ll answer this question in more detail for all WordPress users consider I develop the most advanced WP SEO theme there is and with Stallion Responsive the only plugins I strongly recommend to use alongside Stallion are W3 Total Cache (for caching/performance) and an image optimization plugin like EWWW Image Optimizer for optimizing images). If W3 Total Cache and EWWW Image Optimizer plugins didn’t exist and work well and have decent plugin developer support, I’d have added similar features to Stallion Responsive (you don’t reinvent the wheel if you don’t have to). To answer this question in detail for your average WP user you first have to look at your WordPress theme, does it lack something SEO wise you want to achieve? For example does the theme you use output SEO friendly title tags? What that means depends on the site, for a site where branding isn’t important you don’t want the site name as part of the title tags: a lot of themes generates this title tag format “Post Title > Name of Site” which is only best SEO practice for a branded site where the brand is the name of the site. Pretty much all the popular WordPress SEO plugins will manipulate title tags, so if your WP theme outputs the wrong title tag format a plugin like Yoast SEO or All in One SEO can fix this. If you use meta description tags (they have no SEO ranking value), does your theme include the meta description tag…. So you have to look at what you want to achieve. Does your WP theme and plugins output multiple CSS files. If so you’ll want to combine them into one CSS file and ideally minify them. W3 Total Cache plugin does CSS file combining and minification really well. Few themes optimize images as you upload them, want to make your images smaller (for better performance) use a plugin like EWWW Image Optimizer. Can your theme build silo link structure? Silo SEO is where you try to only link a webpage to other related webpages. Stallion includes advanced silo SEO features, on this comments main post for example all the Popular Articles and Latest Articles widget links (left sidebar) are themed, they only link to other posts in the WordPress SEO Plugins category and the Yoast WordPress SEO Tutorial category. There aren’t any sidebar links to the posts in the Make Money Online, Off Topic Blogging, Product Reviews or any of the other categories not about Yoast or plugins. To achieve this I pulled together multiple plugins and code snippets and built a silo SEO widget (it’s all built into the theme). No other WP theme does anything like this, bits can be achieved using plugins like the Widget display plugin (allows setting which parts of a site a widget should load on). If you are a Yoast or All In One SEO plugin users have a look through the features with fresh eyes. Most of the features are either of minor SEO important (fluff SEO) or not even an SEO feature: there’s no evidence social sharing (Facebook likes etc…) has a direct SEO benefit, yet being able to added Open Graph meta data via a plugin is considered a major SEO feature. Conserving link benefit by removing nofollow links added by WordPress without sending links out to comment spammers is a major SEO feature and no SEO plugin does this. To me asking a question like which is the best SEO plugin, Yoast or All In One SEO is like asking who is the best humanitarian World War II leader, Hitler or Stalin? Why So harsh on the plugin? I totally get what you are saying here, but why so harsh. To be fair to Yoast hes a super nice guy, he helps ppl and his plugin(s) are great, despite your opinion on nofollow, which I share in many ways. I think what you do is great, the sites, the plugins, I just think you let yourself down by being so negative about him. Again no offense or anything like that intended. Why not just be positive about what you do rather than bash others.